Zeidler has been one of the lucky first to utilise a Digital Property Brochure to advertise a property and results speak for themselves! Everything from Property Details, Gallery, Floor Plans and Viewing Times are available within the Digital Property Brochure. It functions much like a website. However, instead of being about several properties, this focuses on one property. It is great to send to potential clients and those enquiring about a property. 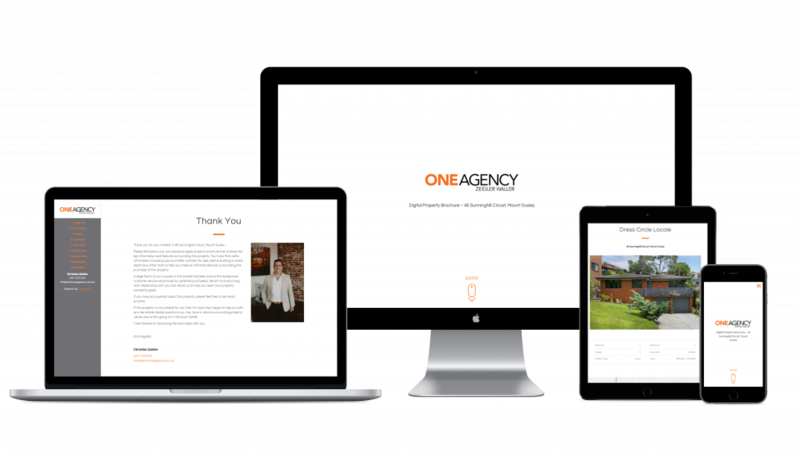 The benefit of this is that you no longer have to send multiple emails to clients advertising the same property. You can track your brochures performance and you present a clean and polished advertisement. Visible in Zeidler’s brochure he chose to have the brochure customised to his agency style. We used his logo as the main image to introduce clients to the brochure. You can see the colour scheme has been customised to One Agency’s trademark Orange and Grey and Zeidler’s display image. Scroll down and we are met in the next frame with the property details and main image (Of course this can be customised how ever you want) and a map displaying the property location. 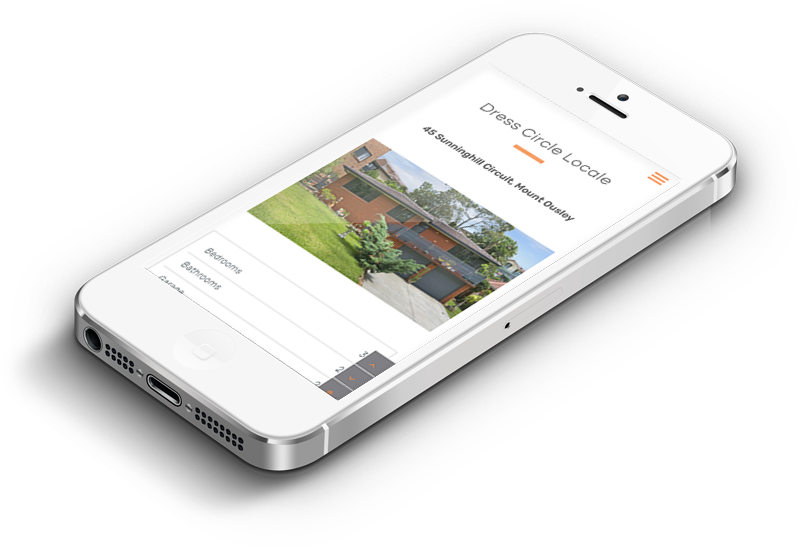 We have inserted Key Features and this is followed by an interactive gallery of property images. You can also find there is the incorporation of Inspection dates, times, a suburb profile and a About Us section. The brochure ends with interactive Click Throughs for Clients which allows them to download the Contract for Sale, View more data, Forward documents to a Solicitor and have options allowing to Enquire Further about the property. The brochure is accommodating to a clients navigational tendencies. Not only this but you are able to track who opens it, see who interacts and you can measure the progress of your digital brochure! Posted in Agentpoint News, Featured Sites, News on 1 Feb, 2018 by Ryan O'Grady.